About Ewerth & Associates, C.P.A., P.C. Ewerth & Associates, C.P.A., P.C. offers the expert tax planning techniques that only a Certified Tax Coach can provide. With our unparalleled training and experience, we have the ability to uncover hidden deductions and tax credits that will significantly reduce your taxes. We diligently create personalized tax plans to significantly reduce tax liabilities and protect income for highly successful business owners, doctors, dentists, and high net worth families. We are more than accountants, we are highly-educated tax advisors. With our effective, legal, and ethical tax reduction strategies, our clients pay the lowest amount of tax required by state and federal standards. Call Ewerth & Associates, C.P.A., P.C. at 402-486-3777 to schedule your free consultation today and learn how we can reduce your taxes. 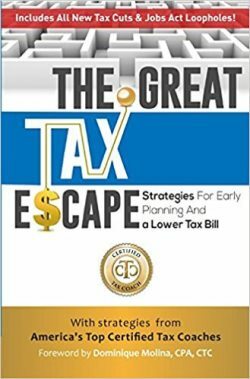 As a thank you gift for scheduling a free consultation, we'll provide a copy of The Great Tax Escape*. Brad Ewerth, C.P.A., CERTIFIED FINANCIAL PLANNER™ is the President and Founder of Ewerth & Associates, C.P.A., P.C. and P23 Financial, Inc. in Lincoln, NE. Mr. Ewerth has been helping families in numerous states for over 30 years with tax and retirement planning. Recently Mr. Ewerth has completed training as a Certified Tax Coach, concentrating on develop tax reduction strategies for his clients. He has a unique way of coordinating the retirement and tax planning process, helping to minimize the impact of taxes. Additionally, he walks along with his clients guiding them with investment advice and money management strategies during their financial journey. Due to his commitment to helping families with financial planning, he has also achieved the designation of CERTIFIED FINANCIAL PLANNER™. Less than 20% of practicing financial advisors in the industry can claim this distinction and very few of those are also CPAs with tax planning expertise. He enjoys making a difference in the lives of families and shows his passion for long term meaningful relationships. 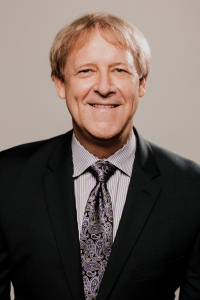 Mr. Ewerth is a lifelong learner and continues to participate in various conferences and self-study courses that provide his clients with current tax saving ideas as well as coordinating tax reduction strategies in the future. This allows him to maintain leading edge concepts while helping his clients. Active in his community, Mr. Ewerth has coordinated the Alpha program at St. Marks United Methodist Church, volunteered at the Peoples City Mission and Center for People in Need and is a supporter of Fellowship of Christian Athletes and Make-A-Wish foundation.